"Video Communications a Requirement? 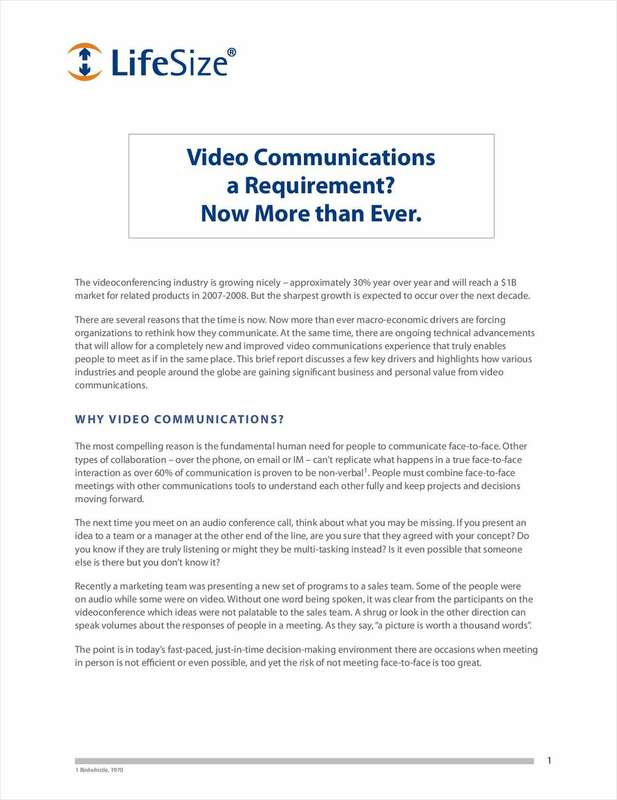 Now More than Ever"
Free Special Report: "Video Communications a Requirement? Now More than Ever"
Break through the hype and get the facts. Learn how industries and individuals around the globe are gaining significant business and personal value from video communications. By submitting this content request, I have legitimate interest in the content and agree that LifeSize Communications, Inc., their partners, and the creators of any other content I have selected may contact me regarding news, products, and services that may be of interest to me.